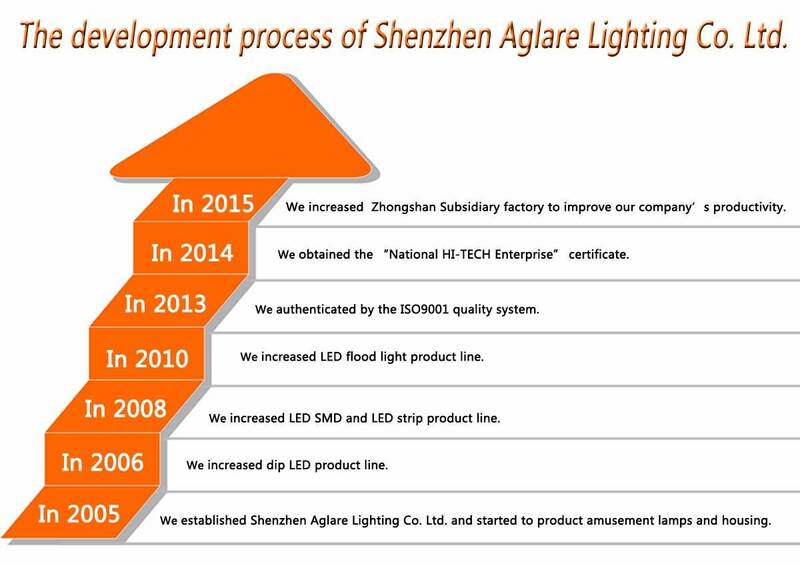 Shenzhen Aglare Lighting Co., Ltd. was established in 2005, which is the manufacturer of indoor and outdoor LED lighting for more than 11 years. 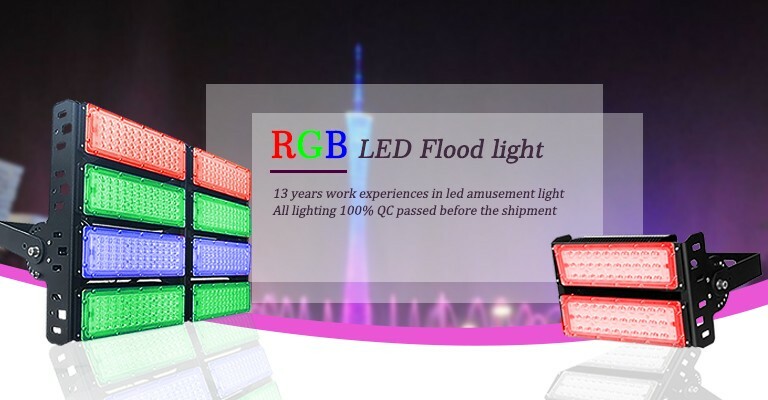 Our mainly products are LED floodlights, UFO LED lights, LED high bay lights, LED tunnel lights, LED streetlights, SMD LEDs, COB LEDs etc and accessory drivers. Meanwhile, At present, we have two factories. Shenzhen headquarter is located on Longhua, Shenzhen, covering an area of 5000 square meters, Zhongshan subsidiary factory, covering an area of 2000 square meters. We have 15 engineers with rich experiences and 19 QC staff & 200 skillful workshop staff. With auto production line for LED encapsulation, SMT machine and auto production line, we can ensure the production quality and lead time, to meet customized products for different customers. 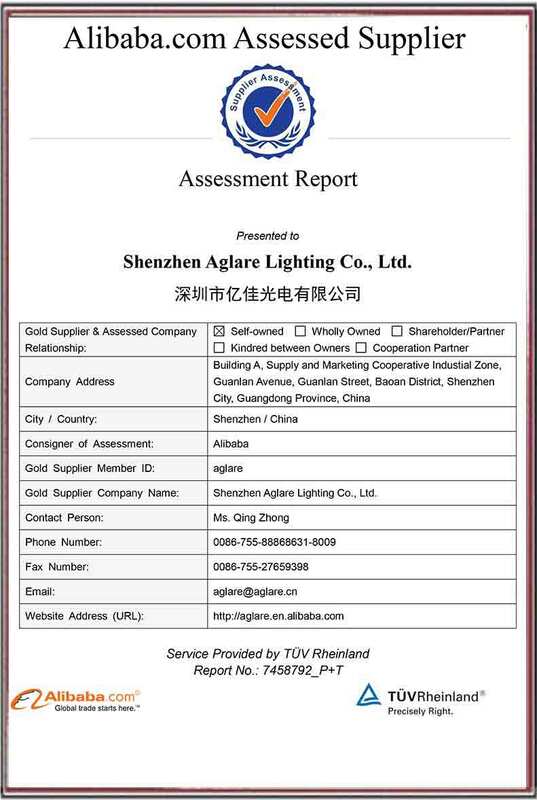 For LED components, our current capacity is 300-500 thousand/day. 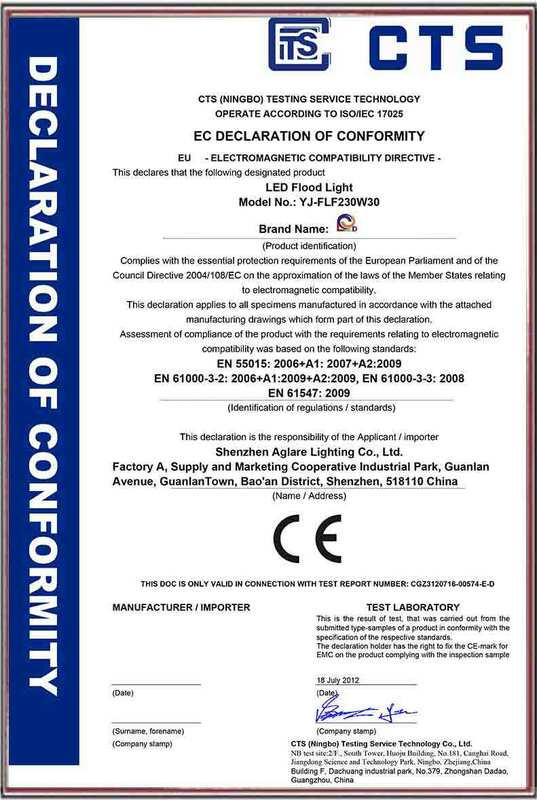 For SMD LEDs, the capacity is 400-600 thousand/day. 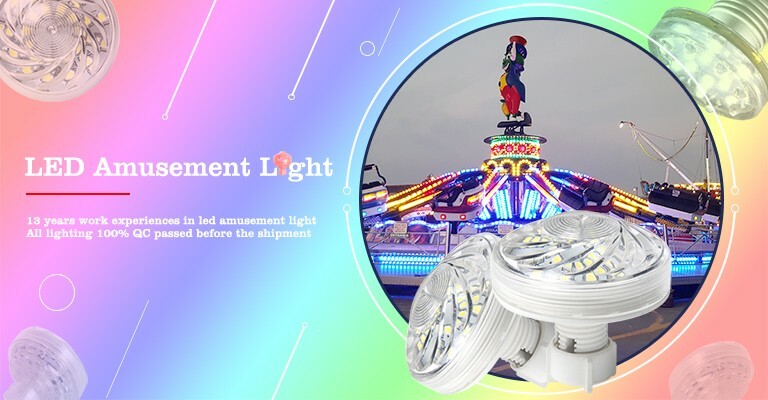 The capacity is 5000-10000pcs/day for LED lighting. 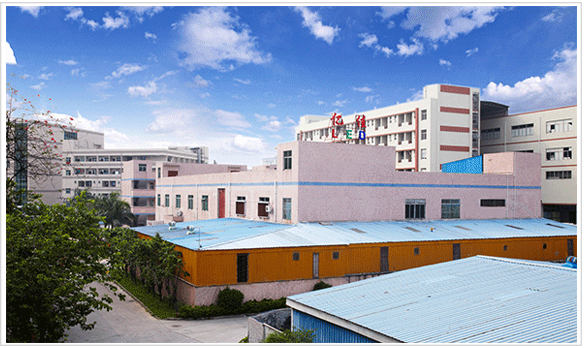 Our production capacity can meet customers’ requirement well. 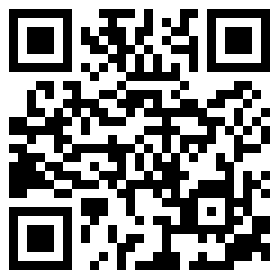 Our target is to offer good quality products and service. 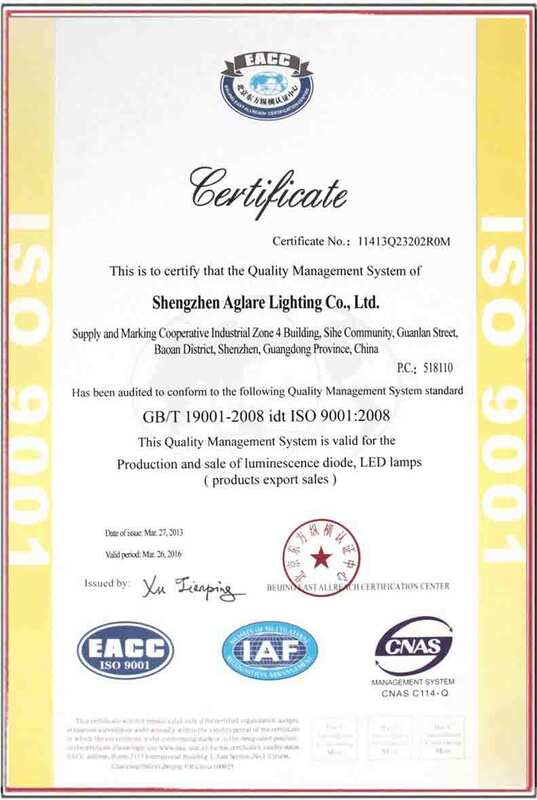 We have been authenticated by the ISO9001 quality system and produce in strict accordance with the ISO9001 quality control processes. 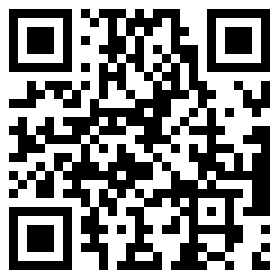 From IQC-IPQC-QA-OQC, we have a complete QC procedure to control product quality, so we can offer best goods for each customer. R&D and innovation is necessary for an enterprise to keep competitive. 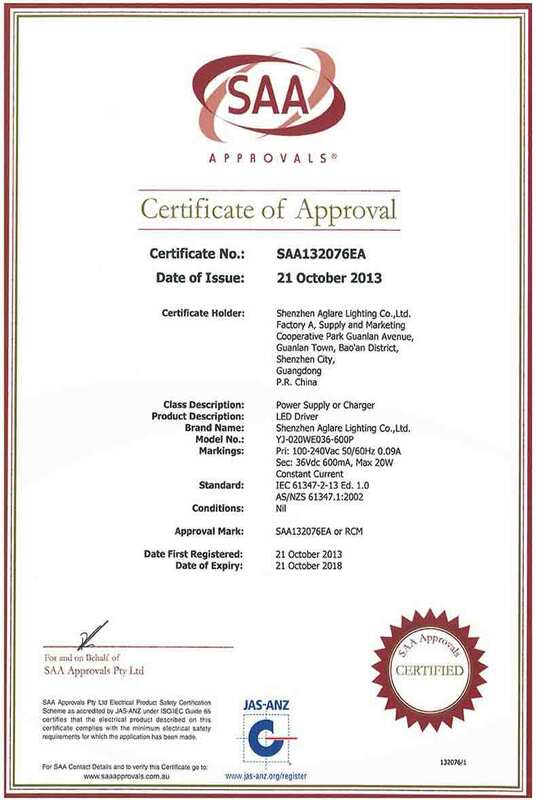 Our engineers research & develop 8-20 new items every year and correspondingly achieve the Certificate of Design Patent and the Certificate of Utility Model Patent. 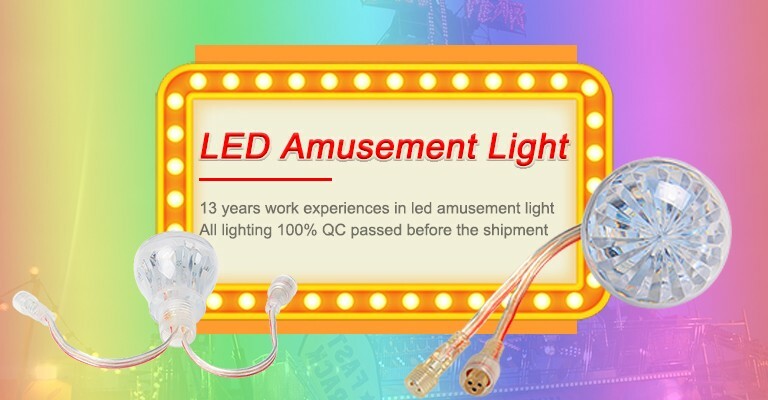 Especially for the driver which decides the quality of LED lighting, we adopt a different way, we design and produce the driver for many products by ourselves, so we can offer stable driver with high quality and competition. 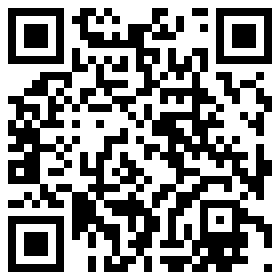 We have obtained the “National HI-TECH Enterprise” certificate in 2012. 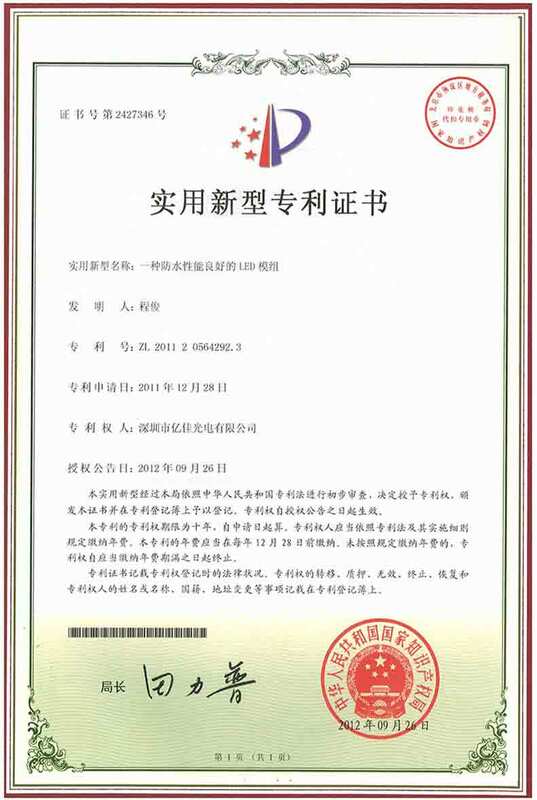 We were awarded “Shenzhen 100 innovative enterprises” certificate issued by the Shenzhen SME Development Association in April 2015.All our products have approved CE & RoHS certificate, partial products have got SAA certificate. 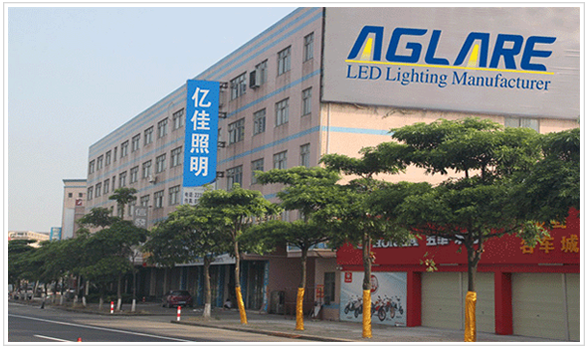 The excellent Aglare team puts their idea, enthusiasm, time and persistence into LED industry to win the recognition and encouragement from customers, to innovate and make progress, provide more efficient product solutions and superior customer service for more and more customers around the world.